A red computer keyboard button and an anonymous youth dressed in a hoody are not your normal decorative designs for trophies. However, the Game of Code hackathon is not a normal way to spend 24 hours, that is unless you are a geek or a talented developer. In which case, the trophies were the ultimate reward for being a member of the winning teams, along with the adrenalin rush of taking part in such a mentally taxing event. 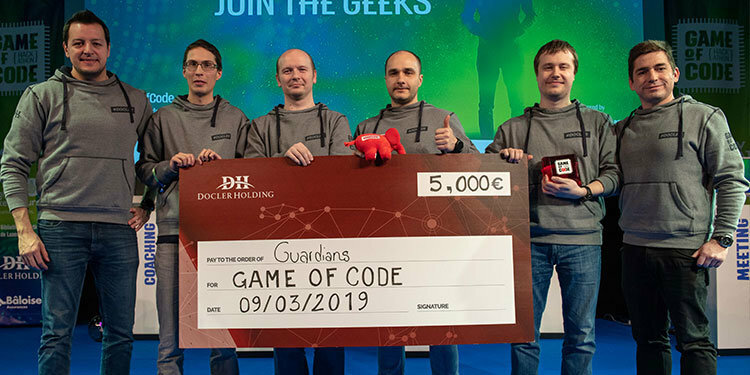 This latest edition of the Game of Code challenge, organised by Farvest Group, took place March 8-9 at the Forum Geesseknäppchen, in Luxembourg City. More than 150 coders participated, demonstrating their incredible skills, including video game building and using the government’s open data portal to tackle challenges as diverse as satellite technology communications and improving the exploration of heritage documentation. Throughout the event, food trucks kept the contestants’ brains operating at a frenzied level. At the end of 24 hours, each team pitched their work to the jury and the winners were announced. 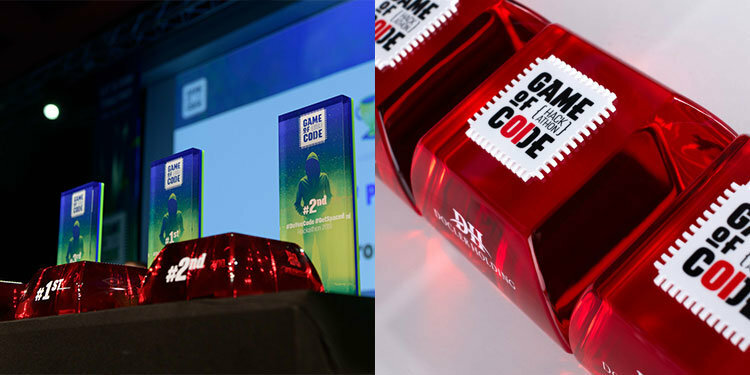 The awards in the shape of a red computer keyboard key were produced by Special EFX in translucent red acrylic and screen-printed, whilst the A5 hoody graphics were achieved by printing onto clear acrylic.